Yesterday I felt the overwhelming urge to have a large American breakfast. 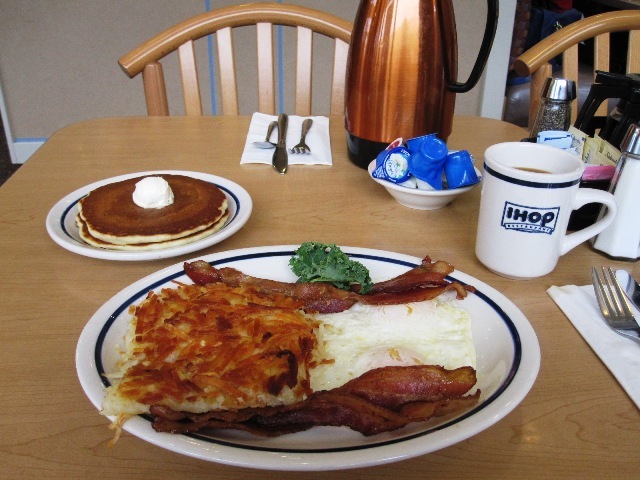 You know the kind; bacon, eggs, hash browns a few pancakes on the side. And of course the obligatory, endless pot of coffee was on the table. This is not a regular sort of thing for me. Oh yes, I might succumb to eggs and bacon once in a great while. 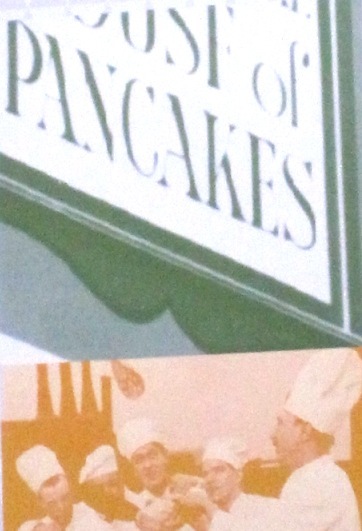 But I can’t remember the last time I had pancakes. I’m talking years. And to have it all at once…. What about you? So what brought on this feeding frenzy? It was a year ago, almost to the day. Everyone in my department was told to come in very early for a meeting on Sunday, which was two days away. This left everyone puzzled and nervous. I’m sorry to say I had it figured out. We all arrived at the appointed time to a line up of chairs and tables. Now I was sure what was going on. You could see the panic on people’s faces and the managers all looked very stressed. We were told that the company had eliminated our department. Not only our department but the equivalent departments in all the location across the United States. Several thousand people were put out of work that day. After signing some papers we turned in our badges and were escorted to our lockers and told we could go home. Before we left there was much hugging and crying, and more hugging and crying. Some were in such shock they couldn’t cry. We traded addresses, phone numbers and emails. We made a date for dinner a couple of week later. That night was to be our delayed Christmas party but no one was in the mood. As other employees arrived for work that day and heard the news they were in shock. There was more hugging and crying and promises to be back to visit. But what does all this have to do with a big breakfast? The team I worked with was a varied group, different ages, backgrounds, education, interests. But we were very close. Closer than we realized before this happened. Our family was breaking up and going different ways. We met for coffee before work. Or on Saturdays after work there would always be some who went to Denny’s next door or someplace else. We enjoyed each others company. Of course not everyone got along with everyone all the time but we were still family. And that was proved over bacon and eggs, or Belgian waffles or a grilled cheese sandwich. I guess the energy of a year ago was bleeding forward and I needed the comfort associated with our jolly meetings. So have a cup of coffee on me.